Have you visited Australia? What did we miss? Not only is Australia a land rich with gorgeous landscapes, unique wildlife, and sunny beaches, it is also home to some of the world’s noteworthy monuments. If you plan on visiting Australia, here are some interesting monuments in Australia that will be worth visiting. Located on Bennelong Point in Sydney, Australia, this magnificent ship-like structure is a monument you really must see to believe. Designed by Danish architect Jorn Utzon, this amazing vision took 14 years to construct and wasn’t open to the public until 1973. Showcasing a whopping 1000 rooms which includes seven theaters, guests can enjoy show-stopping entertainment, fine dining, and a variety of tour packages to maximize an unforgettable venture to a remarkable monument. 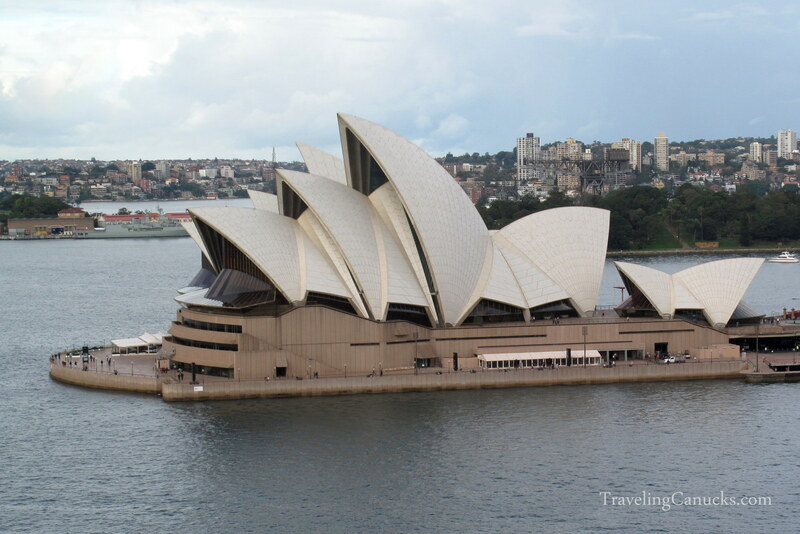 Search for hotel deals in Sydney here. 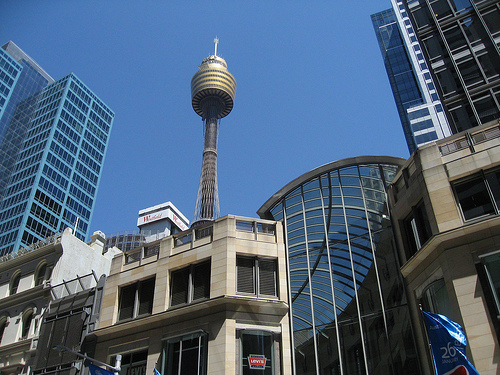 If Sydney is one of your stops while visiting the land down-under, the Sydney Tower must be on your to-do list! This astounding Australian monument stands 820 feet above the ground and offers visitors an amazing view of the city. While visiting Australia, enjoy the sights of Sydney from the observation deck, experience an exciting 4D cinema ride on OzTrek, or take a thrilling journey on Skywalk and experience all that this iconic monument has to offer. One of the country’s most famous monuments, the Australian War Memorial situated in Canberra pays homage to the many men and women who have fought or died for the great nation of Australia. Completed in 1941, the monument’s cross-shaped design is home to The Hall of Valour, The Hall of Memory, the Tomb of the Unknown Soldier, a research center, an outdoor sculpture garden, and much more. This monument offers those visiting Australia a wealth of history and guided tours which are offered daily at no charge. Search for hotel deals in Canberra here. If your travel itinerary will take you to Melbourne, plan on including the notable Shrine of Remembrance as one of your stops. Honoring the 114,000 people of Victoria who risked or lost their lives in the Great War of 1914-1918, this monument attracts visitors from all over the world each year. Guests to this beautiful Shrine will find such features as the remarkable Ray of Light, the Cenotaph, the Eternal Flame, and a water garden known as Remembrance Garden. Admission is always free and you can make the most of your visit with a guided tour or by visiting the Shrine during one of their special events. If a dark and mysterious experience sounds intriguing, why not visit Quarantine Station in Sydney? This historical monument was once a temporary home of sorts to immigrants arriving into Australia. For many, it was a short-lived residence – a safety measure put in place to prevent disease and infection from being introduced to the people of Australia. Others were not so fortunate – it was here that they met their untimely deaths. For travelers visiting Australia, Quarantine Station offers a variety of ghost tours. Visit the haunted hospital or morgue, listen to ghostly tales that tell of the legends of Q Station, or even try to contact a spirit that still resides there! Many ticket and package options are available to accommodate visitors to this spooky but fun monument. In the heart of Queensland at Lark Quarry Conservation Park, travelers will find an amazing treasure indeed. Dinosaur Stampede National Monument occupies 210 square meters and contains nearly 4,000 dinosaur footprints – evidence of a major dinosaur stampede forever fixed in stone. Dating back 95 million years, these fossilized prints are a sight to behold. 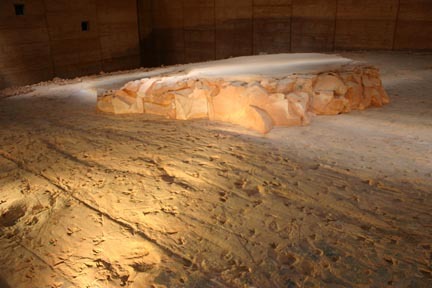 Visitors to this famous Australian monument can view the preserved footprints inside a newly constructed center, which was designed to protect the footprints for many future generations to come. As you can see, the land down-under showcases several unique monuments that will undoubtedly make your vacation to Australia a memorable one. Hmm…I visited only first three…Wanted to go to Lark Quarry Conservation Park but it was too big detour for my trip..
Dinosaur Stampede is one of the coolest places I’ve ever been lucky enough to visit. It was amazing to see footprints that were nearly 100 million years old! Definitely recommend it to anyone thinking of visiting. These all seem quite impressive. I haven’t heard of a couple of these! Really keen to get to #3 – probably for an ANZAC Dawn Service one of these days. I would add the Old Eucla Telegraph Station near the Western Australian border, cos it’s kinda surreal walking around the walls engulfed with dunes…. And Port Arthur in Tasmania – the real heart of the history of penal colonisation. The ghost tour down there will leave you with the hairs standing on the back of your neck for months to come! The opera house in Sydney is only in my dreams to visit right now. One day I will get there and take in all it’s beauty. 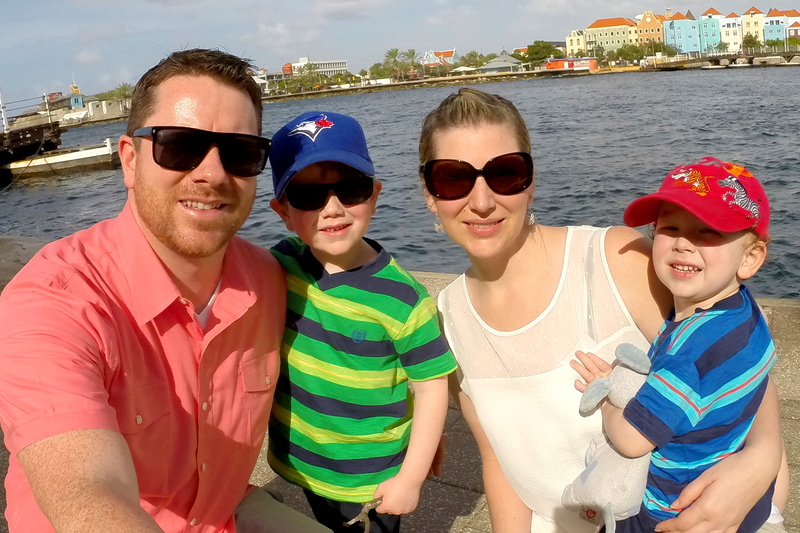 Of course the Opera House is first on your list. I’m not the least bit surprised. After living in Australia for 14 years, I’ve managed to see all of these attractions. It’s been no easy feat! i have dreamed so many times about going and performing in the Sydney opera house because i watch this show called dance academy and they live in Australia. i also wanna see the Sydney tower. what about the Sydney harbour bridge!!??? Great attraction, but not a monument.